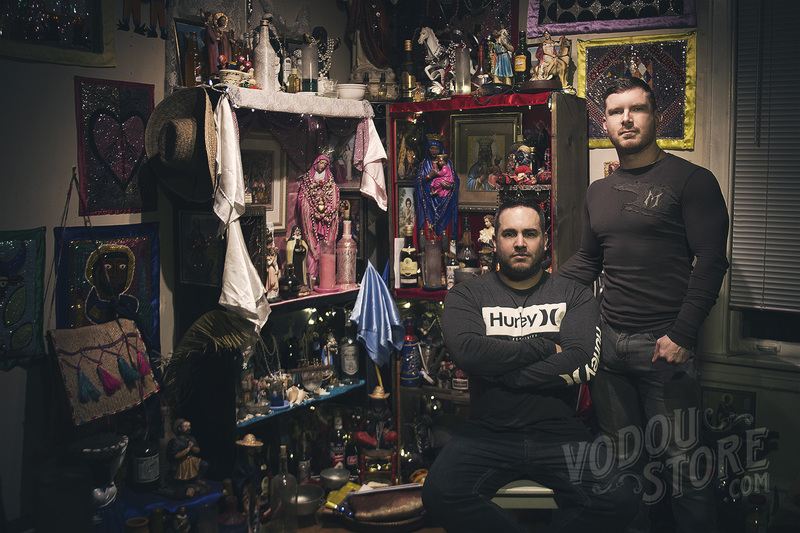 The Vodou Store humbly began back in December of 2010 with only a select few products, most notably self-adhesive candle labels featuring the lwa of Haitian Vodou, Allan Spiers' initiated religion, and this is where the store got its name. Over time the product line began to expand to include items related to hoodoo, conjure, witchcraft, and products featuring pagan gods representative of Jeff Cullen's religion and began to transform from a store carrying about 5 products to featuring over 1000. Our candle labels and prayer cards have been able to fill the need for many other religions and feature traditional prayers compiled with the help of experts within those religions, initiated priests, and scholars who specialize in those fields. Our working products such as our baths, incense, conjure rubs, dirts, sachet powders, gris gris, colognes, and oils, etc, are meticulously hand crafted staying true to the religions we have experience and knowledge. You can be assured we will never try to create items misrepresenting or misusing gods, spirits, or traditions we do not actively work with. It is our goal to create only the best and most authentic tools for our customers, tools that can be incorporated into any personal practice. While every item DOES NOT and IS NOT intended to reflect Haitian Vodou, The Vodou Store will continue to pay homage to the lwa of Allan's beloved religion, the spirits who started it all and have helped it grow to new heights; and through our expansion of a sister site, Uriel's Domain, we will be able to refine each path to offer a broader, more specific catalog for all of our customers, all while maintaining authenticity.